Talk us through your career in publishing, highlighting key milestones including your current position as Art Director at Penguin Group USA. I attended the Rhode Island School of Design from 1995 to 1999, graduating with a bachelor’s degree in Illustration. During my time there, I went from wanting to be an architect to a painter to an illustrator. Judy Sue Goodwin-Sturges was my department head and my senior advisor. I credit her with introducing me to children’s books. It wasn’t a magical epiphany. She framed the industry in a pragmatic, sensible way. Absent from our discussions was the idea that we somehow deserved to be published. Judy Sue and the other instructors helped us understand that a classical foundation and strong work ethic were necessary for us to succeed. A few weeks before graduation, I got a job at Simon & Schuster as a design assistant for Chani Yammer, in the Simon Spotlight and Little Simon imprints. It was there that my love of media tie-in publishing began. I worked on Catdog, Hey Arnold!, Blue’s Clues, Bear and the Big Blue House, SpongeBob SquarePants, TMNT, and dozens more licenses over the years. Through these licenses I cultivated an understanding of what it takes to meet the expectations of multiple voices while simultaneously applying my personal sense of art and design with each book. I was also fortunate to work on books by Robert Sabuda, David Carter, Sandra Boynton, and Eric Carle. Between Simon Spotlight and Little Simon I was introduced to every format imaginable. It was an education in children’s publishing that would serve me well later in my career. The direct access I had to the people at Simon & Schuster like Chani Yammer (now Executive Art Director at Simon Spotlight and Little Simon), Paul Zakris (now Art Director at Greenwillow), Lee Wade (now of Schwartz and Wade), Ann Bobco (Executive Art Director at Atheneum) Lily Malcom (now Associate Publisher/Executive Art Director at Dial), and so many others was invaluable in my continued education in children’s publishing. I had all but shelved my college goal of being an illustrator—until I was approached by Orli Zuravicky (now Senior Editor at Scholastic). Together, we developed and created our Mister Doodle board books. 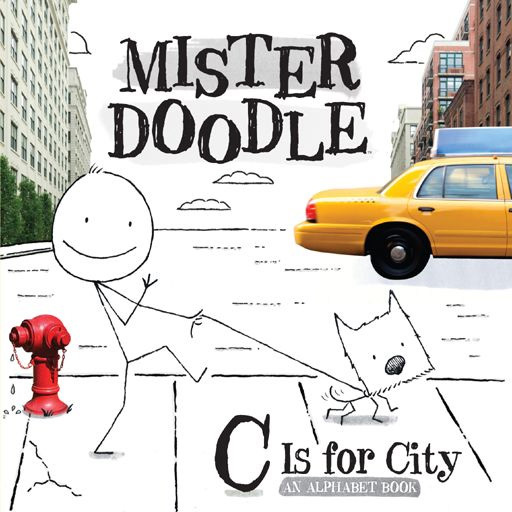 Happily, the very first book I illustrated, Mister Doodle: C Is For City, received a starred review in Publishers Weekly, and the series was awarded first place in the novelty category at The New York Book Show. I spoke at schools, bookstores, and the Apple Store. It was certainly the highest highlight of my career at Simon & Schuster. Around this time I was named art director of Simon Spotlight. A few years later I was named art director of Little Simon. Being an art director of the two imprints for which I was an assistant was certainly the second highest highlight. It was through Little Simon that I got to work on my first picture book, The Cat in the Rhinestone Suit, written by John Carter Cash and illustrated by Scott Nash (I received my second art direction and design award). I thought I’d be at Simon & Schuster for the entirety of my career. And then an opportunity arose at Penguin that was too good to pass up: being an art director for Grosset & Dunlap, PSS!, Warne, the Penguin Young Readers, and newly formed Poptropica. 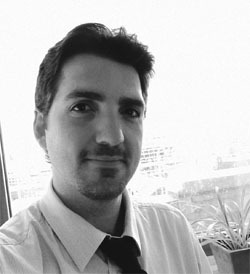 I left Simon & Schuster after twelve years and began my new journey at Penguin in October 2011. It’s been a fantastic experience so far; but that story can wait for another time. How do you split your time across the imprints you oversee – Grosset & Dunlap, PSS!, Warne, PYR, and Poptropica? I don’t know if anyone in publishing truly splits their time across multiple imprints. For those working in publishing, or any industry for that matter, I think it’s key to maintain a flexibility of thought as requests, or conversations, or expectations can differ from one minute to the next. No matter what we’re asked to design or direct, we’re required to understand and meet the goals of the imprints simultaneously. Tell us about the art department at Penguin, how is it structured and what is the working environment like? There are quite a few art departments at Penguin. Some departments work on one imprint or two or—in our case—five. As art director, I am the department head, reporting to the publisher. I am in charge of eight talented people: an associate art director, two senior designers, two designers, two junior designers, and a design assistant. Each one has unique ideas, skills, and interests that we explore, cultivate, and support. In the simplest terms, our collective job is to bring the author’s text, and the editor’s vision, to life through art and design. As we are not a mill, a designer’s challenge is to put themselves into a piece while staying true to others’ needs. When done right, a designer and illustrator will create a visual the author and editor didn’t know they were looking for. How important is it for any illustrator you work with to have problem-solving skills? Give us an example when these skills have been put to the test. • Deciphering art notes, which can be incredibly vague or incredibly detailed. It’s their responsibility to visually render the hopes and wishes of an art director, editor, and author (and many others). • Composing multiple, varied spreads that keep our attention and support the text. • Working with a designer to create a cover that will stand against the thousands of others out there. • Applying corrections they may or may not agree with, while maintaining the integrity of the piece. • Copying—down to the line weight—the art of a popular license like Strawberry Shortcake or Adventure Time while still being expected to create images that are unique to the story. • Dealing with paint that won’t dry, a program that won’t open, a computer that crashes, and hardware that won’t operate—the night before a deadline. All of the above—and much more—is asked of the illustrator with a (sometimes very) limited amount of time. However, as it’s equally important for my designers and me to be problem solvers, the illustrator has the help they need from us to be successful. Which has been your favourite project to art direct on each imprint so far and why? Frankly, I don’t think anyone in my role should rank our books in that way. I have eight designers who work very hard at coming up with the best solutions possible. To pick favorites would undercut their effort and creativity. Across five separate imprints, my designers and I have the unique pleasure of working on different formats and genres with illustrators of every style imaginable. For Grosset & Dunlap, we could be working on the latest Magic Bone with Sebastien Braun or a novelty book with Joyce Wan. 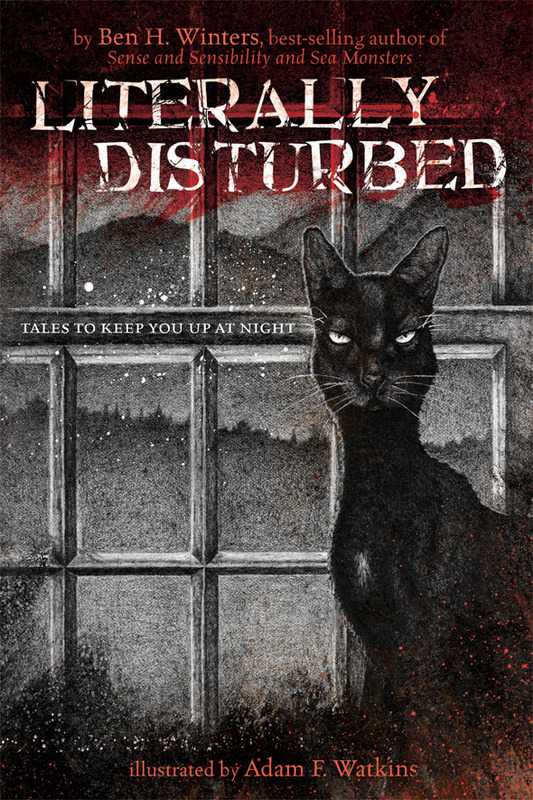 For PSS!, we’re carrying the Mad Libs baton further into greatness with Melinda Beck and Scott Burroughs; or scaring kids out of their minds with Ben Winters’s dark poetry series, Literally Disturbed, illustrated by the incomparable Adam Watkins. For our Penguin Young Readers program, we’ve had the pleasure of working on fantastic leveled readers with Robin Robinson, Pascal Campion, Lynn Avril, Cale Atkinson, Michael Robertson, and on and on. Frederick Warne affords us a front-row seat into the worlds of Peter Rabbit and Spot. And we work with the folks at Poptropica to bring Jeff Kinney’s online world to life. We work on 270 books a year. There is always something to be excited about with each one. What’s the best piece of advice you have been given in your career? This has had so many applications in my life, not least of which is helping me see more clearly what is necessary for a successful design or illustration and what isn’t. I use it as a check against any artistic decision: Is what I’m doing adding value or is just adding? As an illustrator yourself, how does that influence / affect the way you operate as an art director? As an illustrator, I can certainly understand the difficulty in drawing a likeness, composing a spread, affording materials, getting work, finding art directors, getting paid on time, and avoiding the confidence roller coaster. So, it’s important that my team and I maintain a very open, honest, and supportive dialogue with our illustrators. 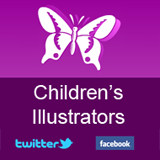 One of my main responsibilities is to find and art direct illustrators for projects spanning most styles and genres. The illustration department at the Rhode Island School of Design emphasized the importance of drawing from life, perspective drawing, technique, composition, color theory, and art history. That—coupled with fourteen years’ worth of reviewing art— has helped me be a bit more versed in the “do’s” and “don’ts” of what makes a successful illustration. From a more personal perspective, it’s always great talking shop with Loren Long, Scott Nash, and the many illustrators with whom I’ve had the pleasure to work. What do you consider to be some of the greatest children’s books of all time? It’s hard to answer this question as we all have different definitions of greatness. What makes a book “great”? The writing? The art? Its sales figures? Of course there are revered children’s books, but it’s my view that ranking them defeats their intended purpose. Any book that provokes thought and inspires creativity is a great one. A book that converts a reluctant reader to a life-long reader is a great one. 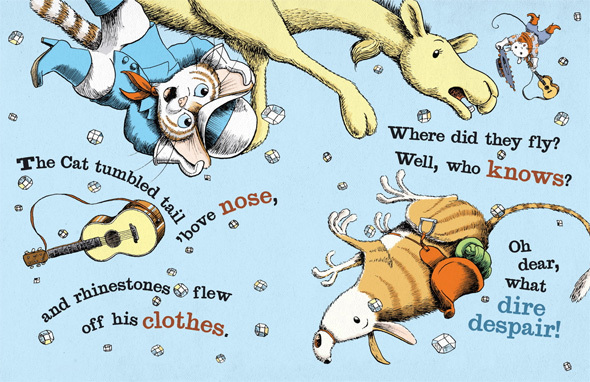 Any book that helps kids grieve, laugh, challenge convention, or be silly, are great ones. The first book I remember reading wasn’t a classic, and I wasn’t reading at an early age (like so many claim with suspiciously detailed memories). It was a Transformers chapter book. I don’t know if it was transformative or life-changing, but at that moment a little boy was having fun reading, and that’s pretty great. Are there any current projects you can tell us about and how do you handle juggling multiple projects at once? I would prefer to tell you about all of our projects. Why pick one over another? Whether we work on a Regular Show journal, a Gustav Gloom chapter book with Adam-Troy Castro, a board book with Annie Bach, another Mad Libs, The Treasure Chest with Ann Hood, Hank Zipzer with Lin Oliver and Henry Winkler, George Brown Class Clown with Nancy Krulik, Recipe for Adventure with Giada de Laurentiis, or our exciting Dark Crystal series with the Jim Henson company, my team’s approach is always the same: How can this project be the best version of itself? The editorial and design teams have been outdoing themselves season over season—making it impossible for me to mention one project without mentioning all of them. In terms of juggling projects, we rely on our production department and senior managing editor to provide our printer dates. The onus is on us to set and adhere to schedules that line up with those dates. Managing competing priorities is a matter of perspective and timing. When one stays centered (instead of being nonchalant or stressing out) and when one gives themselves the time they need to complete projects (instead of procrastinating), juggling projects is easier to do. Or, as my Italian immigrant parents would say when I was a kid who complained about work, “The more you stare at it, the more there is!” It sounded better in Italian. 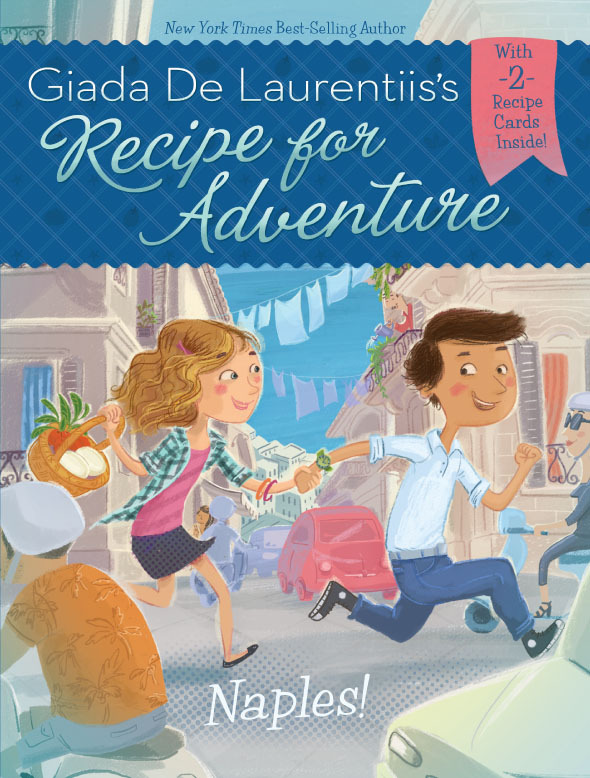 What makes a great children’s book character? I’d take “children’s book” out of the equation. I don’t think it matters if the character is for a children’s book, a film, a play, or make-believe in the backyard. The goal behind building a great character is the same: to engender an emotional response. 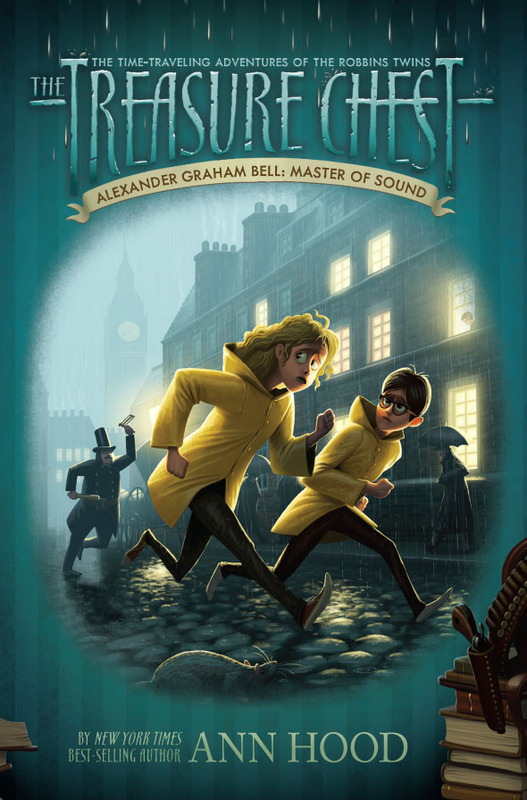 Any trait a character possesses that impresses upon the reader a lasting idea or feeling helps make them a great character. High on my list is that character’s ability to make a connection. As soon as a reader makes that connection, they’ll want to know more about the character, thereby cultivating a relationship that could start at 40 pages and last for 40 years. This entry was posted in Publishing on August 12, 2013 by admin.